See it is an assumption universally made that any beautiful, brilliant, single woman who is rich as hell will be in want of a husband. I’m going to admit flat out that I am not the biggest fan of the original Pride and Prejudice to begin with. 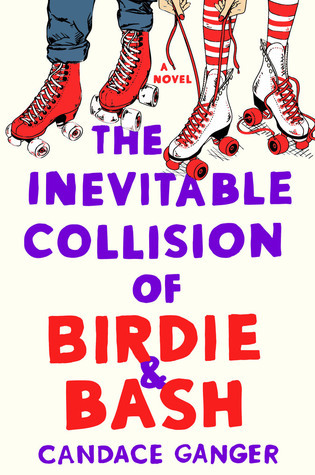 I think it’s silly when it’s praised as a beautiful romance, because it’s not – it’s a satire on Austen’s society cloaked within a romance because that was the only way she could get it published as a woman at the time. Mini rant aside, Pride and Prejudice is amazing as a satire – and I love it as such. 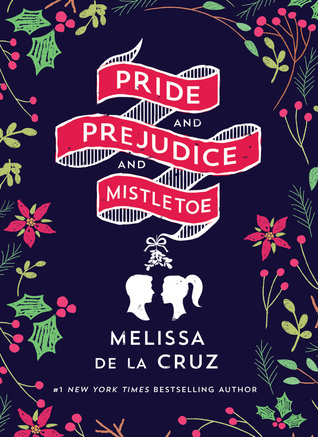 Melissa De La Cruz has taken that satire and turned it into a satire of that romantic satire, and it’s great. It wasn’t that I needed his approval to exist. Even in this time of frissons and jittery stomachs, I knew my power without Elijah. I didn’t need him to kiss me. I just really wanted him to, and that wild desire made my body feel like it was on fire. Let’s be honest. I was in love, and it was the kind of love that made me forget myself. When the song ends, we hold on to this moment that, in the space between, feels like a million electrodes have be- gun to rattle and vibrate. I feel it fuse to my bones. It connects us together, grounds us, right here, right now. 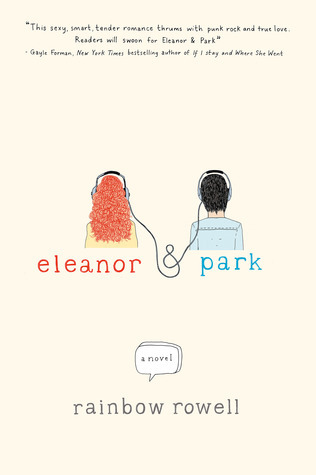 Eleanor & Park is a work of art by Park’s own definition. Art isn’t supposed to be pretty, it’s supposed to make you feel something – and that is exactly what this book does. It makes you feel. Not every feeling is good, not every feeling is bad. Eleanor & Park makes you feel things deep down in your chest and you can’t tell whether or not you want to claw those feelings out or relish in their power. “Life,” he said softly, “is more than ﬂesh. Your body is a candle, your soul the ﬂame. The longer I burn the candle…” He did not ﬁnish. Wow. I am in awe. I honestly cannot form the words to explain what I feel at this moment. It’s like biting into the perfect apple on a hot summer day, or listening to your favorite song and hitting that point where goosebumps climb across your skin. 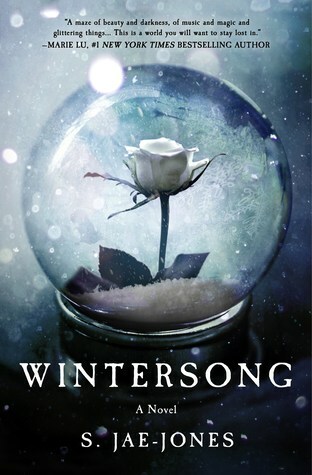 Wintersong is a musical masterpiece of romance, intrigue, and myth. It ebbs and flows and hits all the right notes with beauty and eloquence. Wintersong tells the tale of the Goblin King and a brave maiden dancing a delicate balance of love and old ways. What a stunning work of art. 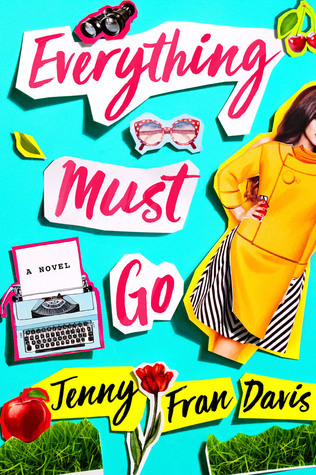 Sometimes you just need to sit down and read a contemporary that does something to you; whether it makes you laugh, cry, or daydream – but just something. 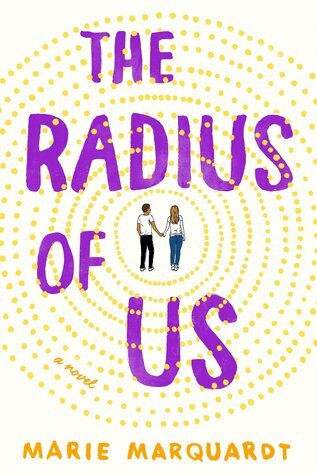 The Radius of Us does just that with surprising feeling and consideration. It’s not often that a book handles the not so easy to discuss in society with grace, poise, and a beautiful mixture of language and story.